SF should be in 0.5x or 1x res? Don't. You can always improve it. Just use logic and everything will be alright. There are a few bad design choices, like an enemy at the bottom of a leap of faith, or not being told you have the Booster. But they're usually minor. 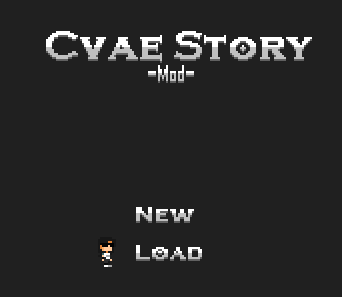 Overall, it's a great first mod, and a good mod disregarding that it was your first. I get that feel a lot for my mods. Just take a break, don't get burnt out, and then jump back in when you're ready. Aaaaa making music is very difficult (at least for me) For some reason I can not create melodies, whenever I try to make one, they end up being monotonous and boring. Stop making only steps like 1-2-3-2-1-2-3 or 1-2-1-2-1-2-1-3. Build melody and tension like I told you the other day. Also make note length different from each other, you don't have to use strictly quarter notes. Study music that already exists, and lots of different genres, Understand why you like what music you like, and go from there. Yeah try messing around with different rhythms. So, my laptop died two days ago. There won't be SF or other mods, I'm sorry. Do you still have the laptop? You can try turning the internal hard drive in your dead laptop to external, or using a hard drive adaptor kit. On the bright side, no one's going to boss you around. So if you decide to go and visit friends, no one's going to disagree! Had a thought, since you were posting a lot of screenies in Discord, would you be able to salvage some of the spritework from them? I think I fixed the problem, I've been busy with school...So I'll be working on Space Force soon. Oh that's great to hear!